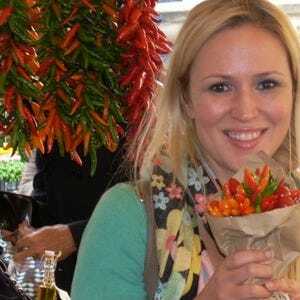 Nicole says, Don't leave Rome without exploring the city’s street markets. You'll get great bargains on food and clothes, and see Roman culture come alive. 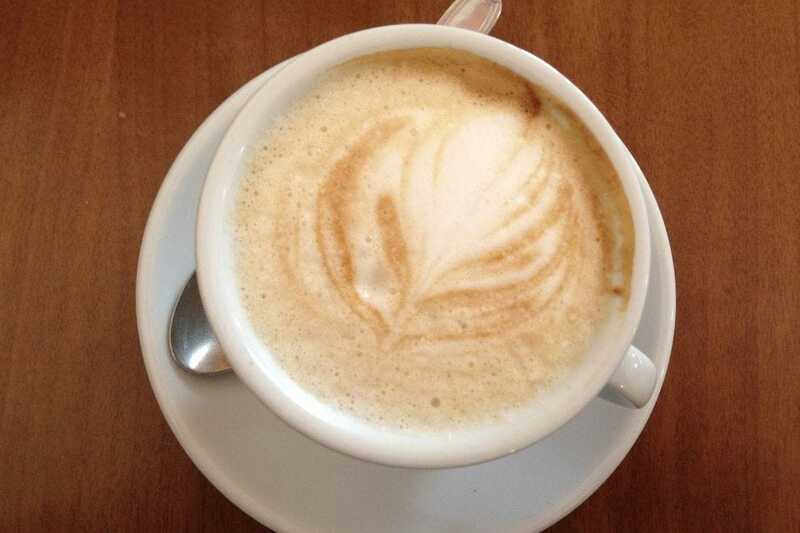 In Rome, it's all about the coffee. 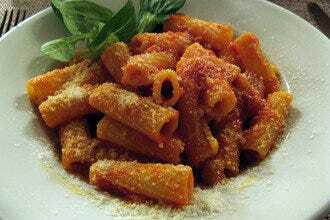 After calcio (soccer), it's the one thing, Italians just can't live without. 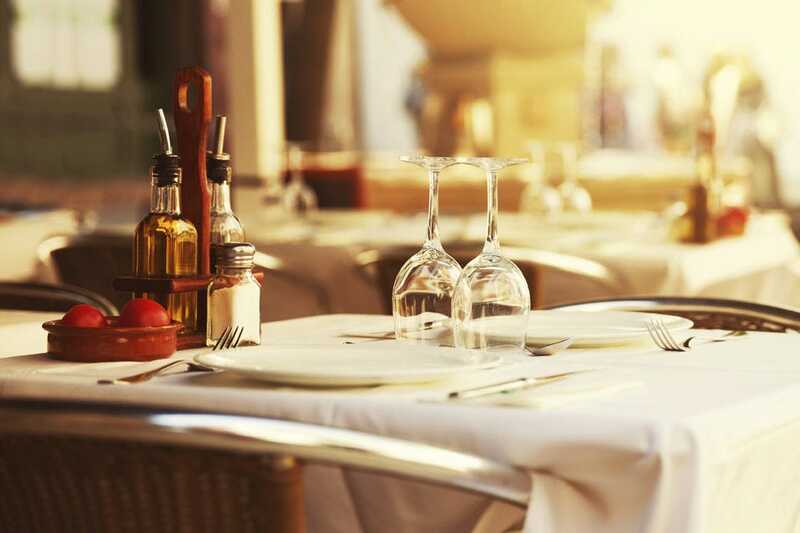 In Rome, there are plenty of cafés where you can either sit and enjoy a cappuccino or even order a light lunch or a snack. If you're looking for a posh place to park yourself to do a little people watching, Caffè della Pace near Piazza Navona and Ciampini near the Spanish Steps is your place. In the mood for a great cup of joe and want to find a place where you can bring some of the best beans home with you? 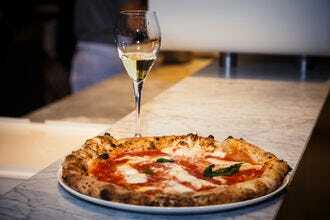 Look no further than Castroni and Tazza d'Oro. Both are definitely places to pick up some of the freshest beans. Fancy a sweet afternoon snack with your coffee? For delicious desserts like cannoli or mini-tarts and cheesecakes while you're sipping on some caffè, try Dagnino near Piazza Repubblica or Cristalli di Zucchero near Circus Maximus. Whatever the scene you're looking for, sitting in a café and enjoying the good life is a favorite Italian pastime and certainly something tourists need to experience when exploring the Eternal City! 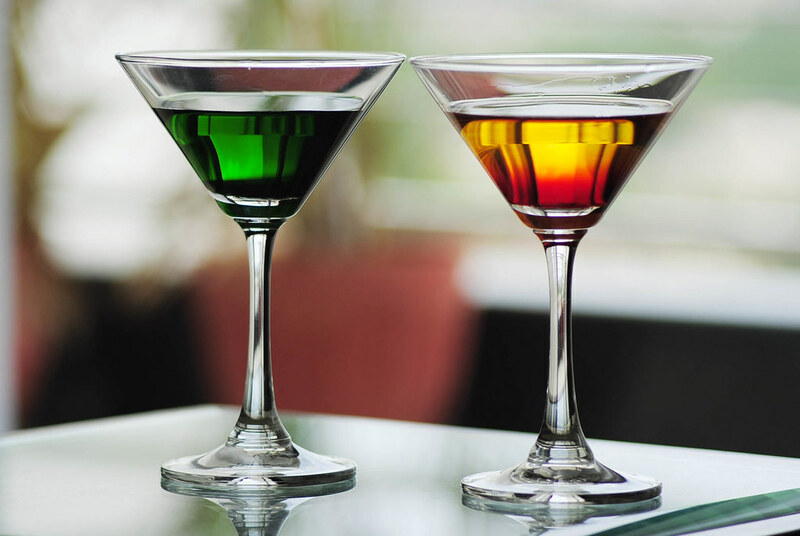 Friends Café was one of the first to arrive on the aperitivo scene in Rome and remains a trustworthy staple for those looking for a lively spot to grab drinks and munch on appetizers. 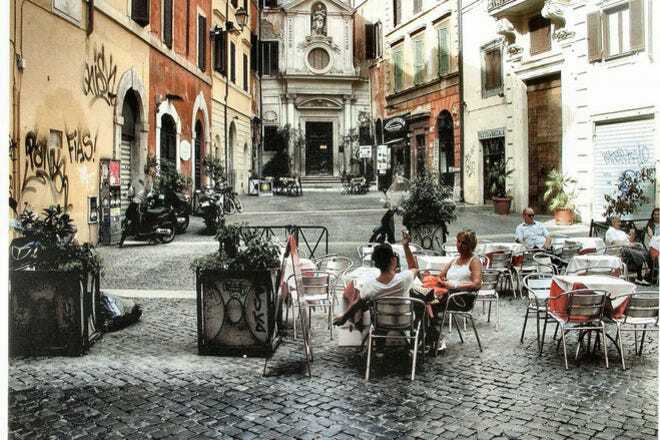 Located in the heart of Trastevere, you'll never go wrong coming to this café no matter what time of the day you go. Though Friends is open for breakfast and lunch, it's also quite popular among the locals looking to grab a few drinks with colleagues after work. 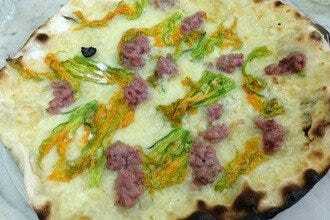 In recent years, the café is received much competition from the nearby Freni e Frizioni. Though, luckily for the café thanks to its ample seating area, many locals tend to trickle on over to this bar once the seating area runs out at Freni and Frizioni nearby. 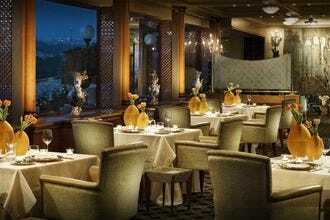 The buffet is generous and offers your typical run-of-the-mill finger foods. Prices run anywhere from 6-8 euros depending on the type of drink you order. BUS: 23. TRAM: 8. 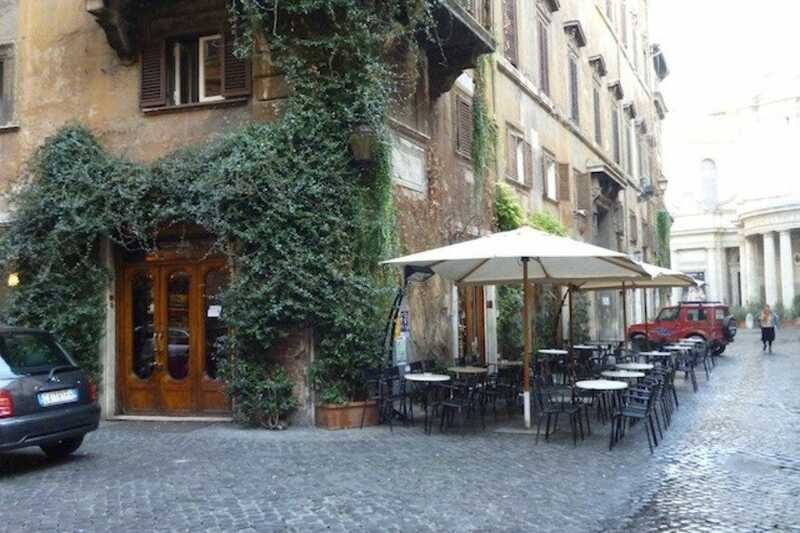 Book worms will love this little café tucked into a corner of the quaint Piazza di Pietra. This little lovely café was created by the small Italian production company Fandango. It's a great place to have coffee, read a book or even grab a sandwich for lunch. Caffé Fandango has a nice selection of wines and the food (whether you come for lunch or an aperitivo) is always freshly prepared. Caffé Fandango also has a small screening room in the back of the café. BUS: 80, 492, 52, 53. METRO: Spagna. 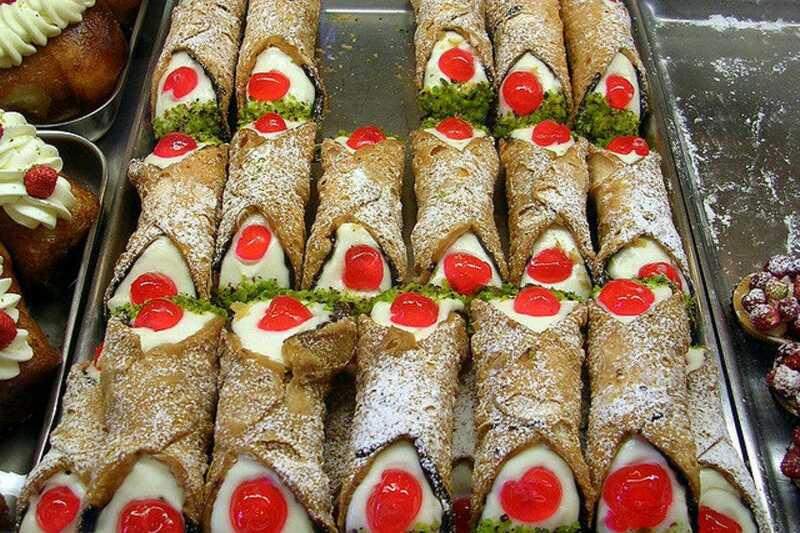 When the Galleria Esedra (near Piazza Repubblica) opened in the 1950s, Sicilian pastry chef Nicol� Dagnino decided it was the perfect time to open up a pasticceria where all Sicilians could go for a little bit of comfort food. 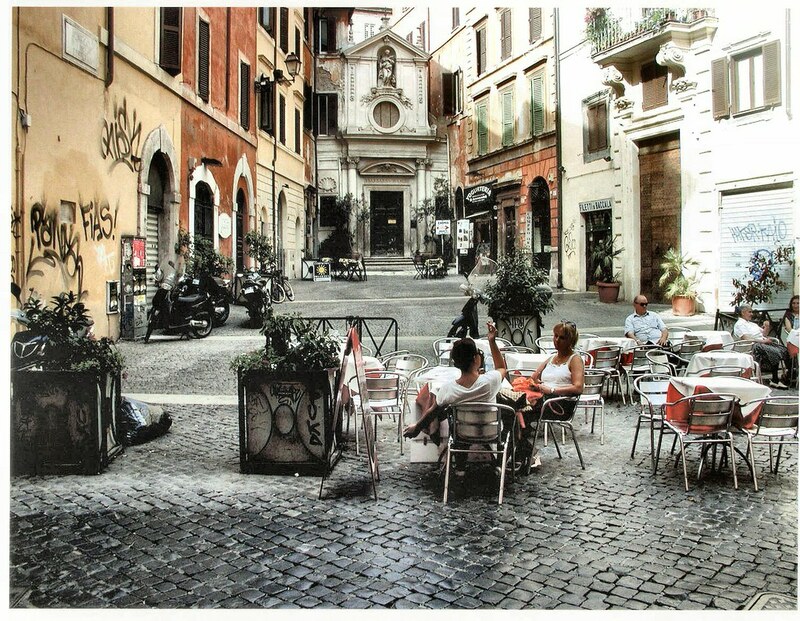 Soon after, Pasticceria Dagnino became a popular spot for Romans and tourists alike. 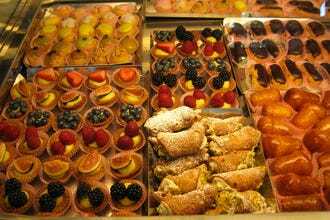 Dagnino is most famous for its specialty Sicilian pastries like cannoli, cassata siciliana and their frutta martorana (little pastries that look like fruit made entirely out of an almond sugary paste). 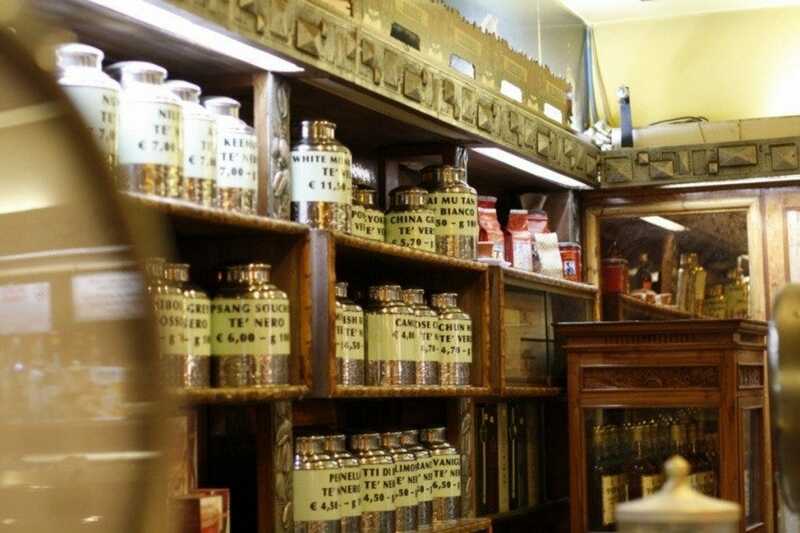 Its decor is a bit yester-year and ahsn't changed muxh since the 1950s. But the wide selection of delicious pastries certainly make up for it. Those with a sweet tooth for breakfast will be in heaven when it comes down to selecting which pastry to go with their coffee. BUS: 40, 64. METRO: Repubblica, Termini. As the name suggests, this bar is literally a 'meeting place' for Italians, especially college students Whether it be a cappuccino in the morning or a mid-afternoon coffee, the Bar Meeting Place is definitely a punto di ritrovo (meeting place) for locals in the Piazza Bologna area. The café isn't located isn't very central. Rather, it's close to Rome's La Sapienza University along the Metro B line (Stop Name: Bologna). Believe it or not, the cornetti (croissants) are so good here, that people travel across town to just get their hands on one. There's also a good pasticceria here in case you want to take home some other tasty pastries and desserts. BUS: 93, 62, 310. METRO: Bologna. This bar is always bustling, no matter what time of the day you go. 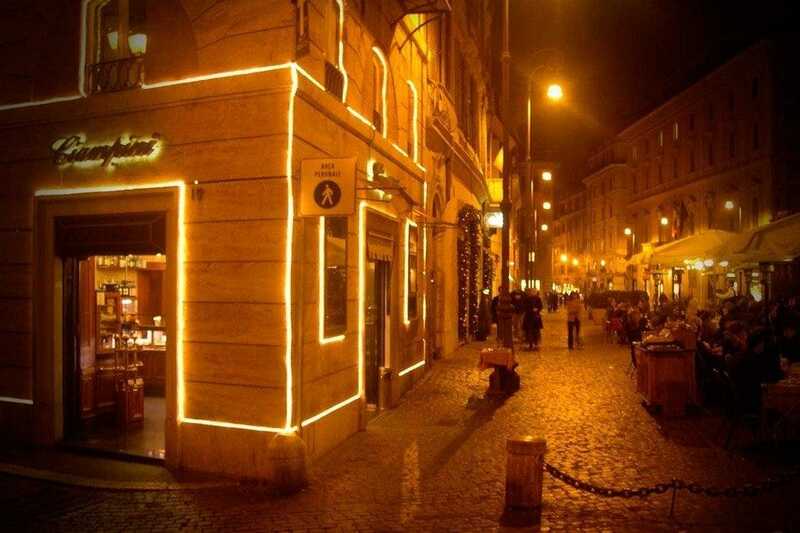 Tazza d'Oro was established in 1946, is considered to be by many, the best coffee in all of Rome. It's prime location just up the street from the Pantheon makes it a hub for tourists, locals, office workers and politicians. It's claim to fame is its granita di caffé con panna (a lightly sweetened frozen espresso topped with whipped cream). You can also buy Tazza d'Oro's coffee beans to take home with you and other gifts too. Standing room only. Bus: 116, 80, 52, 53. 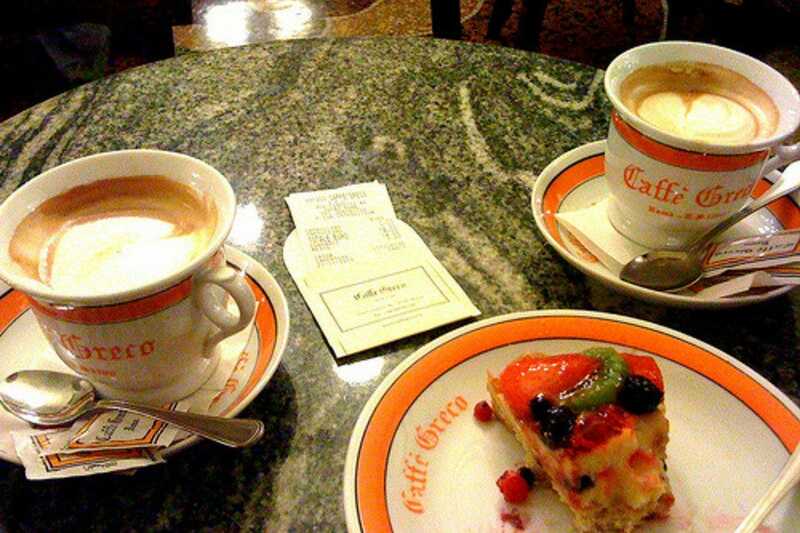 Not too many bars give off such warmth and a sense of coziness like Caffé Novecento does. It's a discreet spot with soft jazz music playing in the background and an array of tantalizing cakes, pies and other sweet treats to greet you as you walk in. There's also a nice selection of quiches, sandwiches and salads for lunch. 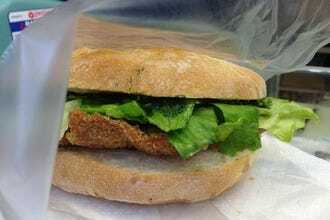 Though the prices are a little steeper here than most cafés, the fact that everything is delicious, homemade and fresh, definitely makes up for it. Most people don't take their coffee at the bar, as the bar isn't very big. But with a place this cozy, who wouldn't want to sit? All it's missing are a couple of couches. BUS: 40, 64, 46, 916. Caffé della Pace is more than just a bar. It's a hip, classy café where artists, locals, tourists and even celebrities have been coming since 1891 for their morning coffee afternoon tea or even a glass of wine. The interior of the café is a bit dark and looks a bit like it belongs in some royal palace. Mostly people prefer to sit outside 'al fresco' even in the winter. The backdrop (draping ivy) is very chic and it's prime location, just a stone's throw away from Piazza Navona make it the perfect place for people watching. BUS: 40, 64, 492. BUS: 30. 40, 64, 46, 916.